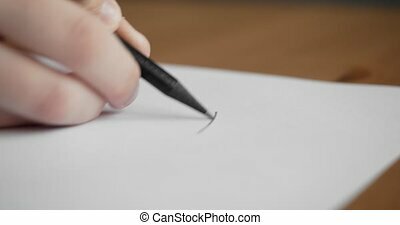 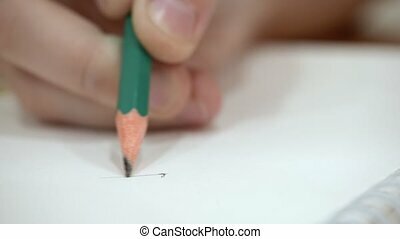 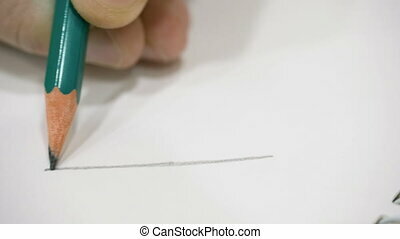 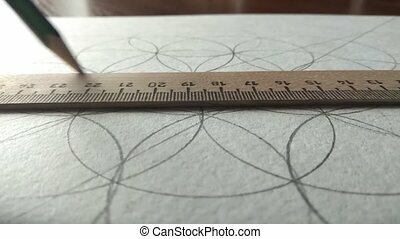 Draws a line with a pencil in a ruler, drawing with circles. 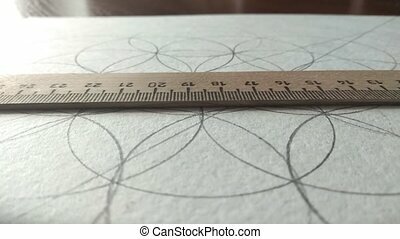 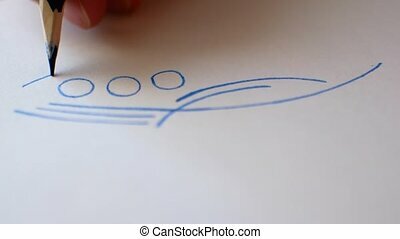 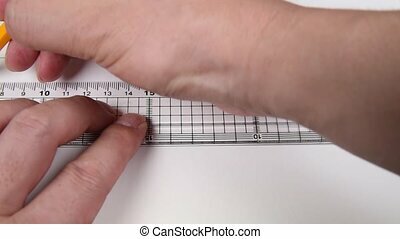 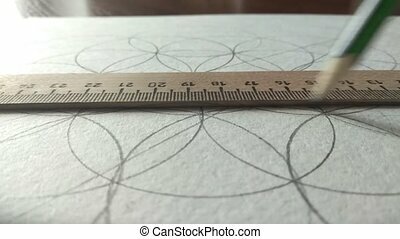 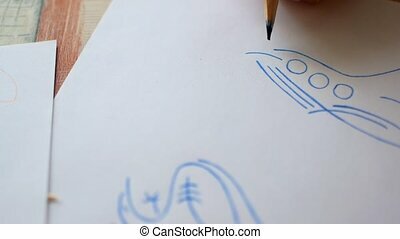 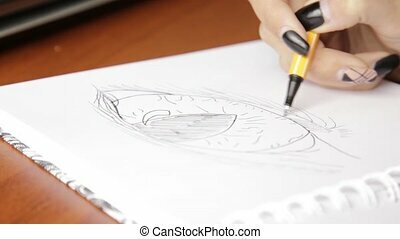 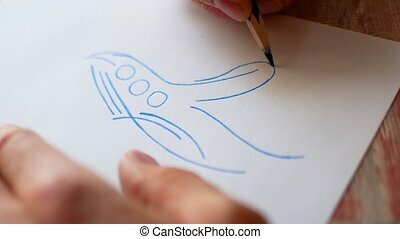 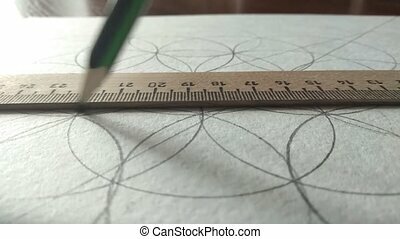 Draws a line with a pencil in a ruler, on a drawing with circles. 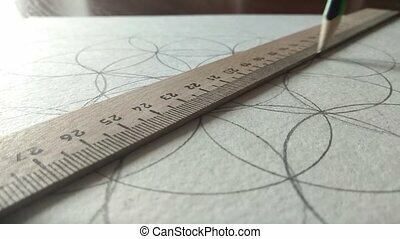 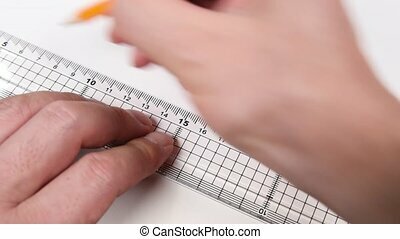 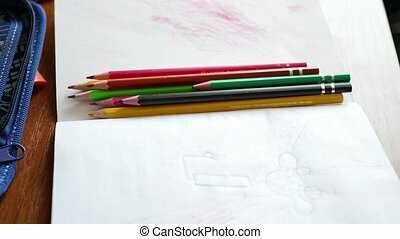 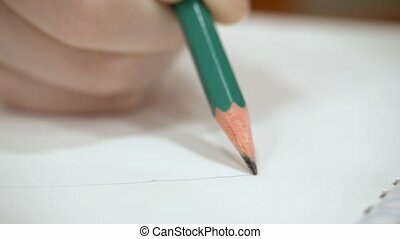 drawing a line with a ruler and pencil. 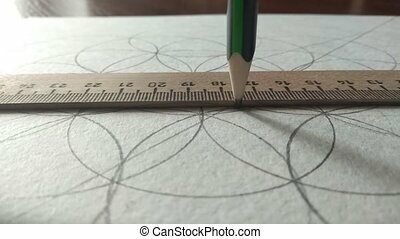 A straight line with a pencil. 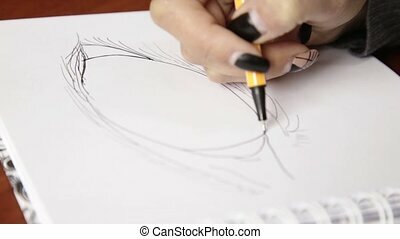 Female hand drawing a abstract flower with pencil in sketchbook. 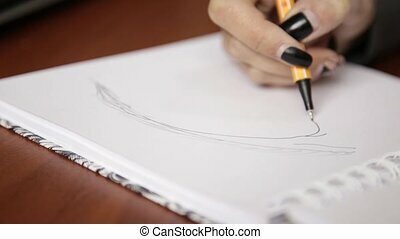 woman's hand draws a smiley face with a pencil in a notebook. 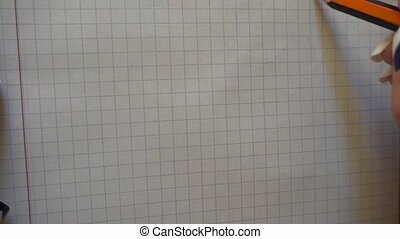 Close-up shot of hand drawing on blank paper with a pencil.